The below post turned out to be the most popular on my blog, and I decided to update The Top Ten handbags to reflect my latest preferences as well as prices ;). I listed some of the handbags I consider to be true investment pieces. They have major lasting power and don’t go out of style with the new season. All of these can be worn as day bags which guarantees high mileage. You may not want to flaunt your Chanel 2.55 everyday but that’s your decision. The way I see it, handbags and clothes are there to be worn and enjoyed! Please note: I converted all prices to Euro and gave an estimate rather than an exact price. Bear in mind that prices for luxury goods go up several times a year. I bought my Prada large Saffiano tote in 2010 for 1,100 Euro. In April 2013 it retailed for 1,450 Euro. If you plan to buy one of the below investment bags, you might as well do it soon before it goes up in value :). The iconic Chanel 2.55 flap bag was first created by Coco Chanel in February 1955 (hence the name). The chain strap was revolutionary at the time: Chanel wanted to free women’s hands during banquets: they could now enjoy canapés and drink champagne at the same time. Today the 2.55 handbag comes in two versions: Classic and Reissue. Karl Lagerfeld reintroduced the Classic version in the 80s. It came with a signature interlocking CC clasp and was a major hit. In 2005 Chanel revived the original design, which they called Reissue. The Reissue handbag looked exactly like the original from 1955 with the signature Mademoiselle clasp. Both versions come in small, medium and jumbo sizes. For a first time buyer, I suggest the medium size gold chain lambskin Classic flap bag. It will serve you for decades if not longer. Alternatively you could go with the small or medium black metallic Reissue with silver strap. Metallic adds a wow factor to the Reissue bag. Avoid seasonal multicolored and fabric versions of 2.55 – they will give you a major case of buyer’s remorse. Reissue bags are slightly bigger than Classic and you can learn more about exact measurements and prices here. Although my all time favorite Prada bag would have to be Saffiano tote, you can’t go wrong with any Prada creation. I suggest grey, black, blue and burgundy colors. I call Louis Vuitton’s Speedy the gateway drug to designer handbags… A lot of ladies I know bought speedy as a first designer handbag. 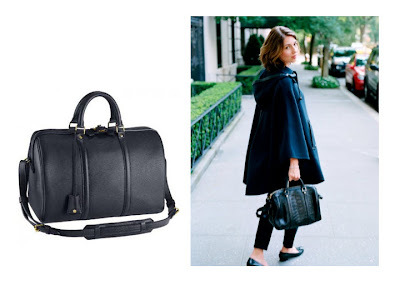 (My gateway drug was a Marc Jacobs oversized black leather tote, which I still use!). You can choose the monogram print (LV letters) or Daimler print. As with the Chanel mademoiselle clasp I prefer when logos are a little more discreet and would always go for Daimler print. If Speedy is too small for you, try one of LV's Neverfull totes. I went for medium size Daimler GM and use it as a work bag, even my laptop fits. Just recently LV relaunched Noe and Petit Noe totes in bright colors. I would go for Noe in Epi leather in black, which is a timeless classic. I remember spending one hour in Madrid Loewe store just looking at all the handbags. It was my Willy Wonka in the chocolate factory moment. I left empty handed, as the bag I wanted had a hefty price tag of £1450. Amazona comes in various sizes and patterns and I would go for them all except Amazona 28, which is a tad small. 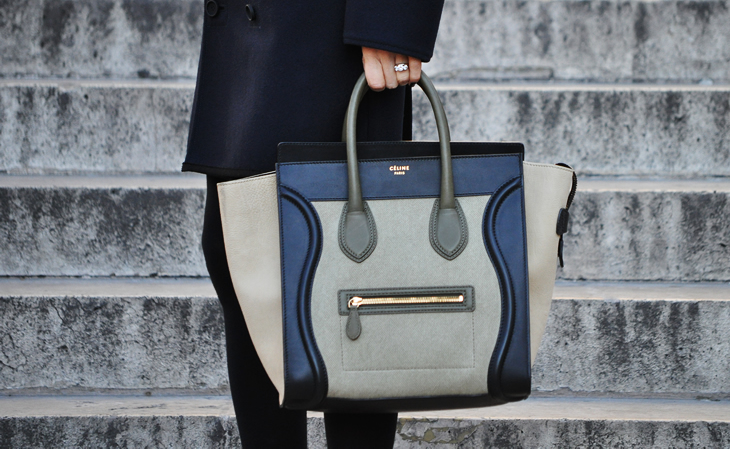 I adore Celine bags! Celine Constance, although small and demure, is a major showstopper. I would love to bag one in black or tan color (pictured above). Boston tote is a very practical choice. I prefer the multi colored versions, but monochrome looks just as good. It's a perfect work bag. multicolored Muse Two, grey patent Muse Two, blue Muse. There are two versions of YSL Muse and Muse Two. Each comes in variety of sizes. I prefer Muse Two in two-tone colors. It’s a real show stopper! After recent rebranding Saint Laurent reissued Muse and Muse two, so these bags are going nowhere and rightly so. This is the handbag I’ve been pining over for over a year and finally bought it (see here). It’s perfect for day and night! I would highly recommend to go for City, which is larger than Balenciaga First and less bulkier than Velo. Also, I’m not a big fan of large silver studs, so would go with more subdued black studs as pictured above. A shopping assistant at Selfridges once told me that Nightingale is the first bag to be sold out during sales. Balenciaga City is the second. I think that speaks for itself. Smart barganistas know what to go for ;). 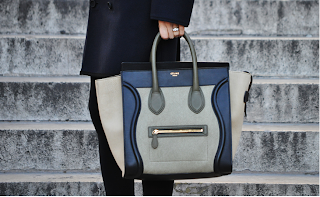 Just recently Givenchy launched a new handbag Antigona. It's more structured and less slouchy than Nightingale and is absolutely timeless! I realize that this bag is on a pricier side but if you think of all the mileage you'll get from it, I believe the price is justified. I would go for dark grey or black suede version, as spotted on Kate Moss. 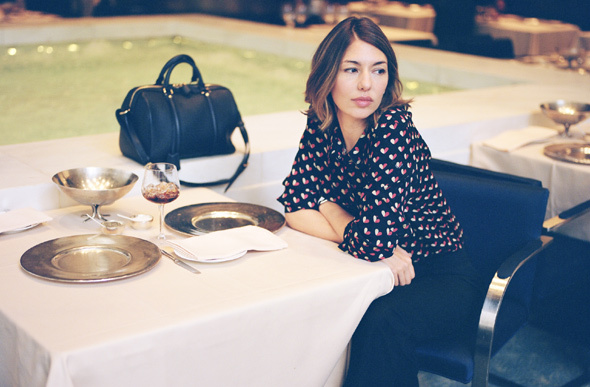 Coppola tote does not shout "It Bag" or "bag of the season". It's subtle and classic and will never go out of style. Kate Moss with Bayswater, Alexa Chung with eponymous Alexa bag. I’ve been planning to buy Bayswater for sometime now, but I can never decide on texture and color. I love the shape but I'm afraid it may not be very practical for daily running around town. It's a great work bag though. I would highly recommend tan, metallic black or suede grey. The light pink color is fantastic for summer! If Mulberry Bayswater is a bit too serious for you - I would go for small Mulberry Alexa in tan color (that's what I did and have no regrets). It's a perfect bag for any season and outfit! check the original blog post here (including the list of investment No-Nos :)). 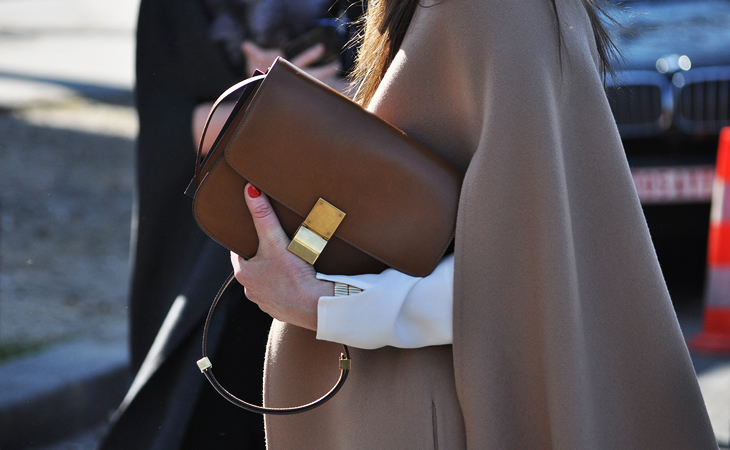 check out my list of top 10 designer clutch bags here.